Ġgantija temples in Gozo, Malta. Some of the world's oldest free-standing structures. ↑ Harmand, Sonia, et al (21 May 2015). 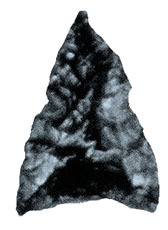 "3.3-million-year-old stone tools from Lomekwi 3, West Turkana, Kenya". Nature খণ্ড 521: 310–315. doi:10.1038/nature14464. ↑ "Neolithic Vinca was a metallurgical culture". Reuters. Archaeo News. 17 November 2007. http://www.stonepages.com/news/archives/002605.html। আহৰণ কৰা হৈছে: 25 January 2011. Barham, Lawrence; Mitchell, Peter (2008). The First Africans: African Archaeology from the Earliest Toolmakers to Most Recent Foragers. Cambridge World Archaeology. প্ৰকাশক Oxford: Oxford University Press. Clark, J. Desmond (1970). The Prehistory of Africa. Ancient People and Places, Volume 72. প্ৰকাশক New York; Washington: Praeger Publishers. Deacon, Hilary John; Deacon, Janette (1999). Human beginnings in South Africa: uncovering the secrets of the Stone Age. প্ৰকাশক Walnut Creek, Calif. [u.a. ]: Altamira Press. Piccolo, Salvatore (2013). Ancient Stones: The Prehistoric Dolmens of Sicily. প্ৰকাশক Abingdon (UK): Brazen Head Publishing. Rogers, Michael J.; Semaw, Sileshi (2009). "From Nothing to Something: The Appearance and Context of the Earliest Archaeological Record". In Camps i Calbet, Marta; Chauhan, Parth R.. Sourcebook of paleolithic transitions: methods, theories, and interpretations. প্ৰকাশক New York: Springer. Schick, Kathy D.; Nicholas Toth (1993). Making Silent Stones Speak: Human Evolution and the Dawn of Technology. প্ৰকাশক New York: Simon & Schuster. ISBN 0-671-69371-9. Shea, John J. (2010). "Stone Age Visiting Cards Revisited: a Strategic Perspective on the Lithic Technology of Early Hominin Dispersal". In Fleagle, John G.; Shea, John J.; Grine, Frederick E. et al.. Out of Africa I: the First Hominin Colonization of Eurasia. প্ৰকাশক Dordrecht; Heidelberg; London; New York: Springer. পৃষ্ঠা. 47–64.